New USD Executive Director of Athletics and Associate Vice President Bill McGillis, center, is flanked by his wife and five children. (L to R): Taylor, Will, Gabrielle, Margie, Marissa and Jordan. 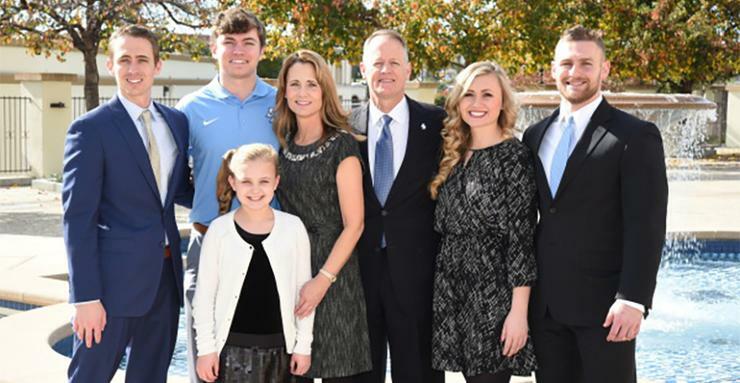 It didn't take Bill McGillis long during his introductory appearance Tuesday as the University of San Diego's new executive director of athletics and associate vice president to make it clear how much this role means to him. "Let me start by saying how great it feels to be at the University of San Diego. This feels really good. I know what a special place this is, I know this is a special community I'm joining and I feel very fortunate," he said. "I've been blessed to work at five different and diverse institutions, but this is the pinnacle for me. I told the search committee, I told Ky (Snyder) and (President) Dr. (James) Harris, it's way beyond the job. It's about everything that USD encompasses. Everything USD is, is why it's so special for me." McGillis, who has spent the last 3 1/2 years as the athletics director at the University of Southern Mississippi and won't officially start at USD until Jan. 23, 2017, replaces Ky Snyder, who was promoted earlier this year to vice president of operations and chief operating officer. Upon learning that Snyder, who has been USD's athletic director since 2004, was promoted and that USD would conduct a national search for his successor, he was immediately interested. 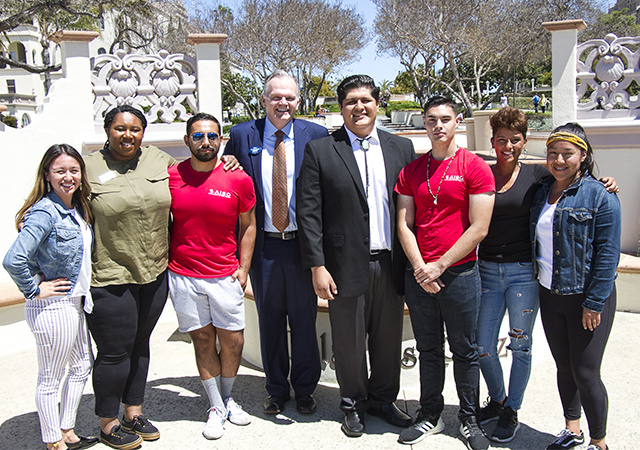 "When I think about the University of San Diego, I think about service, I think about faith, values, caring environment, service and student-centered nature, quality and excellence. To me, from afar, that's how I've always viewed the university and why I wanted to be here. This was a values-based decision for me, pure and simple." Technically his arrival at USD is more than 30 years in the making. He shared a fun story from 32 years ago when McGillis was a college student seeking a sports information internship and he sent a letter to Ted Gosen, USD’s associate director of athletics/media relations who is now in his 36th year on campus. "Ted responded that he'd love to have me, but that an opportunity wasn't available at that time. Thirty-two years ago, it was not my time to be at USD … but today is my time. Today is our time." McGillis has spent time in numerous athletics administration roles. In addition to Southern Miss, McGillis' resume includes being athletic director at the University of Evansville, a private university; Executive associate athletic director at the University of South Florida; and administrative roles at the University of New Mexico and the University of Houston. He was also general manager for two women's basketball teams in the American Basketball League. 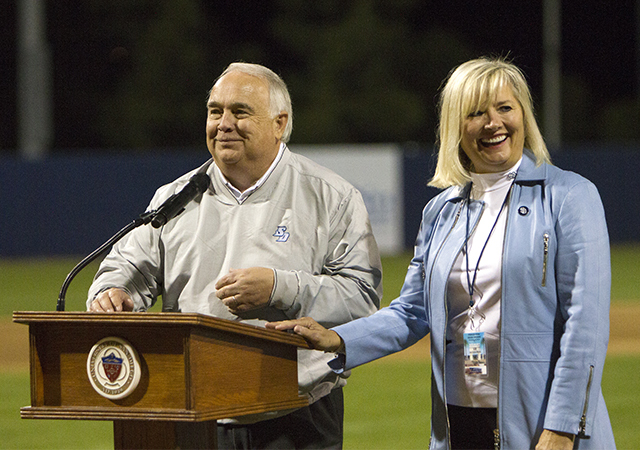 "This is a very exciting day for the University of San Diego," said President Harris. "We're very pleased that we've secured a passionate leader whose values are in alignment with the university, who will accelerate fan excitement and engagement across USD's athletic programs and, most importantly, ensure that our student-athletes continue to succeed both academically and athletically." McGillis said his model of an intercollegiate athletics program "is characterized by integrity, by academic achievement and success of its student-athletes, by a phenomenal student-athlete experience, by competitive success and by community engagement." He sees all of it and more in the University of San Diego — and there’s a great deal of potential in the "more" part, McGillis said. "President Harris and Ky made it clear to me that they want to improve, to grow. They don't want the status quo. It was really stimulating to hear those things, that they expect the new athletic director to provide leadership that can try and catapult the program to an even higher level. That really excites me." McGillis' hiring is the latest in a series of moves occurring under President Harris, who came to USD in August 2015. In February, the university launched a $300 million public Campaign for USD: Leading Change, which includes support for athletics. Harris' strategic plan, Envisioning 2024, launched this fall. Snyder was promoted to his new role and current Vice President and Provost Andy Allen will move into a new role to oversee the strategic plan, which means USD has embarked on a national search for a new Vice President and Provost. McGillis said the combination of USD's traditional values and being part of a new leadership team provides an exciting balance. "There's great tradition, a history of achievement and growth, and yet USD is a young university. It has a solid foundation and great things in place, and yet, with new leadership comes the opportunity for a fresh set of eyes, fresh perspective," he said. "It's very exciting to learn about the vision of President Harris. I'm looking forward to sharing his vision for the university. Athletics is just a part of it. Sometimes, it's a very visible part, but we're just a part. I look forward to a really well-integrated athletics program that contributes to the mission of the university and building onto the great foundation." Returning to the west coast to be closer to family and a desire to be in a Catholic environment were a few personal aspects that appealed to McGillis about the job. "I'm a product of a large Catholic family, I'm one of 11 children. Except for one, all of them live on the west coast. It will be wonderful to be close to my family again," said McGillis, who, along with his wife Margie, his wife for 31 years and the mother of their five children, are Seattle natives. "This is the right place for our family; I just feel it. We want to be on the west coast and we want to be near our family. We want to be in this environment. 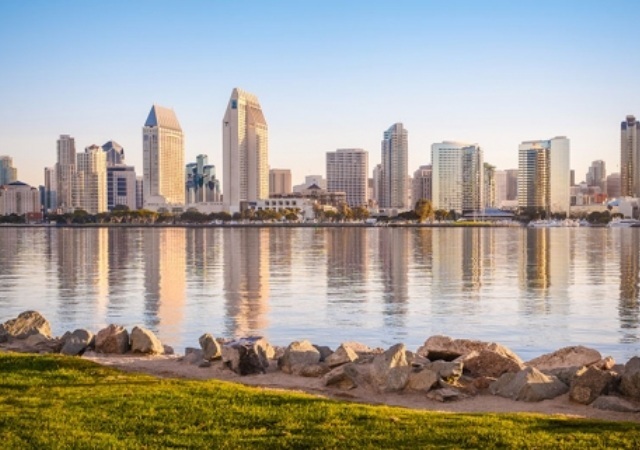 We want to be at the University of San Diego and we want to make our home in San Diego for a long, long time."